Criticism is a guarantee for any craft. It’s up there with death and taxes: it’s inevitable. It’s an unavoidable nuisance that will keep nagging you in the back of your brain until it feels as though your entire head is going to explode into a billion little pieces. However, when you take a multi-million dollar Hollywood film, especially one with a diverse cast, which is an unfortunate rarity in Hollywood, the criticism is skyrocketed to an entirely different level. No longer is it just a rude comment or two that leads to a small nagging in the back of your brain, but instead a gigantic tidal wave of voices clashing into one another with absolutely no holding back, each believing with every single fiber of their body that they alone speak the truth. Crazy Rich Asians was released this past August, and already it has broken dozens of records, brought some of Hollywood’s previously unbudging walls tumbling to a satisfying crunch and claimed its place at the top of the box office. However, behind this blazing trail of success lies the ever-present buzz of critique and judgment. After all, so far the film has made a whopping $149.2 million in the box office, meaning that hundreds of thousands of people have bought tickets and seen the film. Thus, hundreds of thousands of people now have the ability to formulate their own opinions regarding the film and broadcast them to the rest of the world, regardless of whether their judgments are bad or good, justified or not. And that’s not even including the people who didn’t even go to see the movie, but drew their own conclusions about it anyway, a common hobby these days. 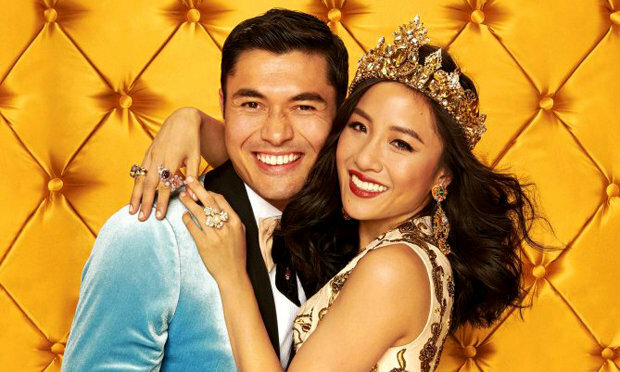 One of the major critiques that Crazy Rich Asians has received as of late is this question: after seeing this movie, aren’t people going to think that all Asians are crazy millionaires? Are people going to formulate this notion that all Asians wear blonde wigs, own closets full of Stella McCartney and fly high-class private jets? The answer, in a way, lies in the title itself. To put it simply, this film is not displaying the lives of all Asians. No, rather it is portraying the lives of a small percentage of Asians — crazy rich Asians, hence the film’s fitting title. To think that viewers are going to exit the movie theater suddenly assuming that everyone of Asian descent owns a Maserati is madness, and honestly an extremely poor, pessimistic view of society. Where was this outcry when something like Gossip Girl, or the dozens of other classic teen TV shows surrounding the drama and luxury of white people, was released? No one complained that people would mistakenly start believing that all white people lived lives of endless luxury and crazy drama. Why? Because the show is a work of fiction, and its sole purpose, as goes with most films and TV shows, was to entertain. At its simplest, most pure level, Crazy Rich Asians is a rom-com and nothing more. And that is indeed the beauty of it. Sure, it has many cliches, rom-com-esque tropes that people can spot a mile away, but those cheesy aspects are part of what makes it so incredibly groundbreaking. In fact, arguably, the most amazing aspect of the film was that it was so normal. In a white-dominated film industry, Asians have been put on the backburner and shoved into the same stereotypical roles in each movie, and that’s when they’re even put on screen at all. Therefore, a film where all the characters and conflicts seem so natural and normal, Asians are portrayed people as normal people (shocking, right?) rather than Hollywood’s decades-old stereotypes and not a single butchered, over-exaggerated Asian accent or token Asian nerdy friend is in sight is a beautiful thing. Let it be clear, it was never the job of Crazy Rich Asians to portray and represent all Asians exactly as they are. In fact, that would be an impossible feat for ANY movie, especially considering the fact that there are hundreds of Asian ethnicities that exist. Its goal as a rom-com (which, by the way, is defined by Merriam-Webster as “a light, comic movie or other work whose plot focuses on the development of a romantic relationship”) was to entertain and spark emotion in viewers, and in my opinion, it did a damn good job of it. 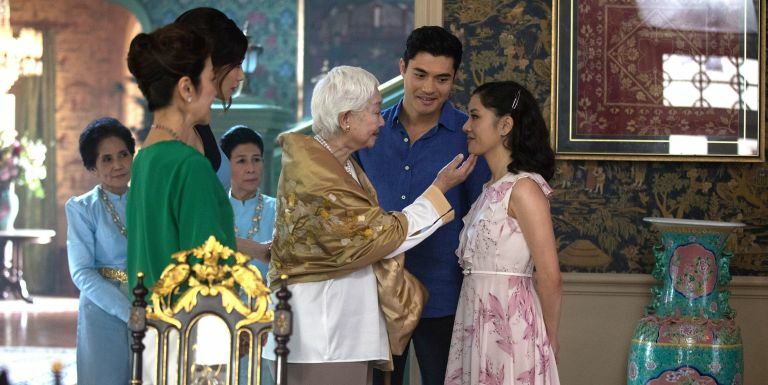 No, Crazy Rich Asians was not completely free of mistakes, and it certainly did lack representation of other Asian ethnicities, but as the first movie to feature an all-Asian cast in 25 years, those flaws must be taken in stride. The brutal truth of it all is that Hollywood is severely lacking Asian representation and can more than often be discriminatory towards actors of Asian descent. As a result, we do not have the luxury of being picky when choosing which movies featuring Asians that we do or do not like; we must support them regardless. Because unfortunately, films with all-Asian casts are a seldom, fleeting occurrence in the movie industry, and another film with this extreme level of Asian representation might not be coming again anytime soon, so we better cherish it while we have it. Why do you think so many people are going crazy buying out entire movie theaters and going back to see the film so many times (other than the fact that it’s a fantastic movie, of course)? If Crazy Rich Asians continues along its path of accomplishment, it can become a trailblazer and pave the way for the creation of even more movies featuring Asians, and those films can then go on to repair the mistakes that Crazy Rich Asians made. So, if supporting Crazy Rich Asians, despite its flaws, means I can see more Asian representation on the big screen, I’m all for it.